Jackson State University's cyberlearning project combines ubiquitous iPads for students with faculty training, a revamped curriculum and digital textbook development. Some innovations involve incremental improvements in how a campus uses technology to refine a classroom or administrative process. Others are more transformational. The cyberlearning ecosystem launched in 2014 at Jackson State University (MS) is in the latter category. Combining ubiquitous iPads for students with digital textbook development by faculty, CyberLearning@JSU is the first complete digital teaching and learning ecosystem at a state institution in the country, according to the university. 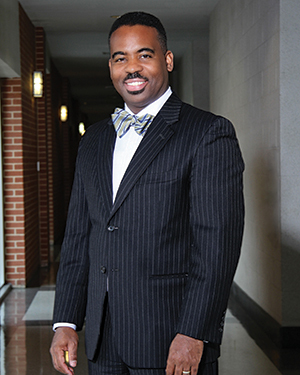 Jackson State had been experimenting with digital curriculum for five years, said Robert Blaine, dean of undergraduate studies and cyberlearning. And a "bring your own device" pilot revealed that students with the most advanced technology were making all the cognitive gains. "We were creating our own internal digital divide," Blaine said. "We were giving to the haves, and the have-nots were getting further behind." That was the rationale to begin the democratization of cyberlearning, he explained. 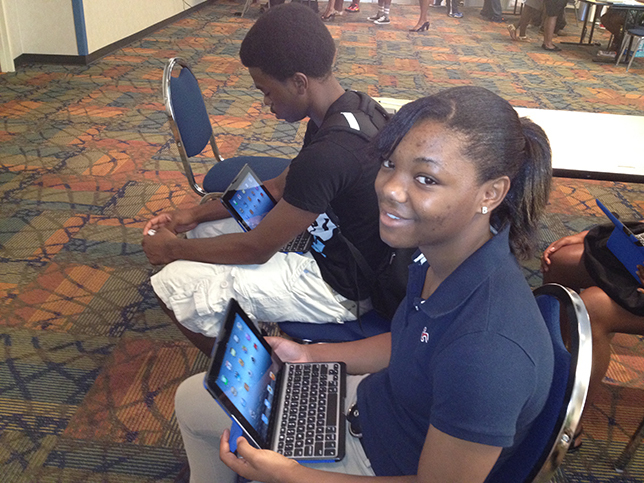 "So we started a program where all our students have access to iPads as incoming freshmen. But then we had to look at the teaching and learning side of this," he noted. Recognizing a need to start redeveloping the curriculum, Blaine and his colleagues focused on faculty training. They started a summer professional development seminar that offers interactive, interdisciplinary peer-to-peer mentoring. Over two summers, faculty members design courses in the learning management system and publish multitouch digital textbooks using their own content and open educational resources — all designed to actively engage students in the learning process. "We have written over 50 digital textbook courses through that program," noted Blaine. The university has partnered with digital textbook developer Words & Numbers to aid in the publishing process. "They helped pull together peer reviewers from across the country," Blaine explained. "We wanted to go through the same amount of rigor that a traditional textbook company would go through for producing content. We want to make sure we are producing something that at the very minimum serves students at the same level as traditional content, and hopefully serve them even better." Jackson State started out by creating new digital content for its general education courses, and restructuring those courses around research and project-based learning across disciplines. "Faculty members are focusing on skills students need to be successful in their discipline," Blaine said, "and using digital content as a way of building a new curriculum that focuses on student skills and student mastery of skills." The transformation has required a large cultural change for faculty members. "All faculty members have to figure out how using new technology and new content fit into the way they have traditionally done things and the new ways we can look at the learning process," Blaine said. "One key to success has been engaging faculty in meaningful ways," noted James Renick, provost and senior vice president for academic and student affairs. "We have been engaged in a multi-year conversation with faculty regarding technology. We sponsor opportunities for them to experiment with the technology and provide support for them to design electronic books. We provide 'venture capital' for them to experiment during the academic year as well as in the summer," he added. "We have to make sure this is more than just a marketing thing — or just us dropping iPads into the hands of students and hoping everything works out." Designing digital textbooks forces faculty members to think at a deep level about the mastery of content and what the role of technology is in that process, he added. In 2014, the new curriculum was piloted with 10 percent of the freshman class in a project called the Pedagogical Redevelopment of Instructional Design (PRID), using the new digital textbooks. Learning outcomes are organized through sets of interdisciplinary skills. Students are assessed for mastery of competencies, which lead to project-based summative assessments. 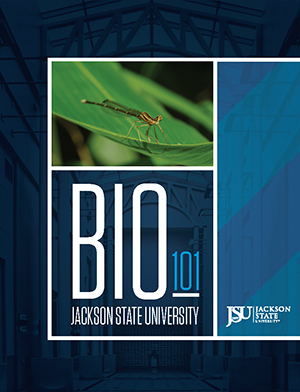 Jackson State's self-published digital textbooks cost students just $9.99. From the student perspective, an important benefit of the new cyberlearning ecosystem is the 95 percent reduction in textbook costs— from $200 or higher for a traditional textbook to only $9.99 for the JSU-published digital content. Students also like that all their textbooks can be contained on their iPads, Blaine said. "It is more convenient. You have the materials with you all the time, no matter where you are." Jackson State has brought in an external consultant to conduct an evaluation of the PRID curriculum. "We can point to some early successes when we compare classes," Renick said, "but we really are in the process of collecting much more data over a multi-year period." And internally, Jackson State has brought together institutional research, faculty and course designers into an Institute for CyberLearning Assessment, to work with the external reviewers on how to evaluate the effectiveness of all the practices the university is putting in place, Blaine said. "Hopefully we will ask the right questions. Our provost, Dr. Renick, says we are in an answer-rich but question-poor environment. So we are always trying to figure out: How do we know the right questions to ask?" Renick stressed that getting heavily involved in this digital space should never be at the expense of human interaction. "We also are ratcheting up the living-learning communities in the residence halls," he said. "For us, it is a twin strategy of the digital ecosystem and ramped-up opportunities for face-to-face contact. If you use both of them well, you can have incredible impact."